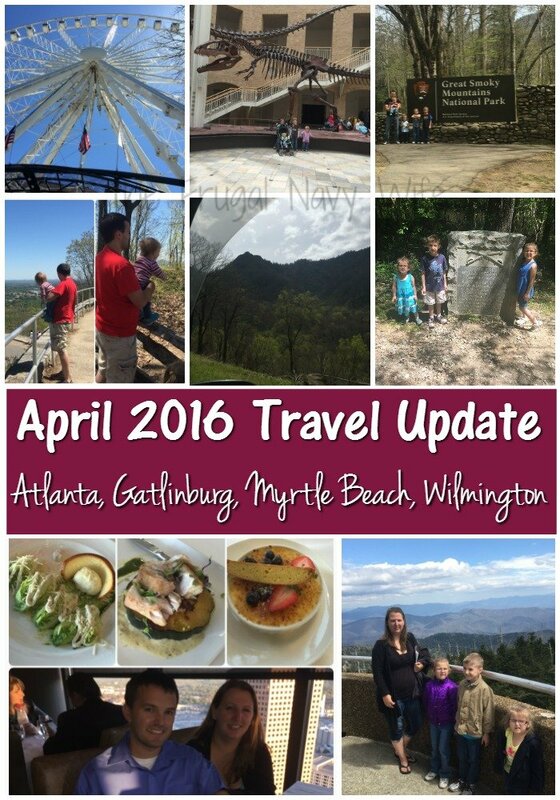 April brought us the start of our real full-time traveling. Our first travel was from Venice, Fl to Atlanta, Ga. But before we got past Tampa we landed with some car problems. 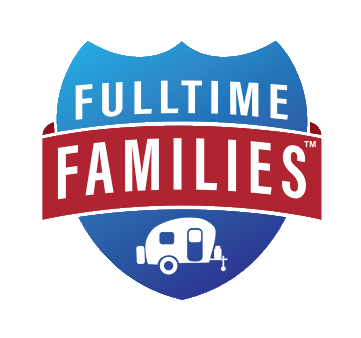 We stayed for 3 nights at the Lazy Days Campground in Tampa, Fl where we stayed for the Fulltime Families Rally back in February. Our car problems got fixed, and we were ready to go! 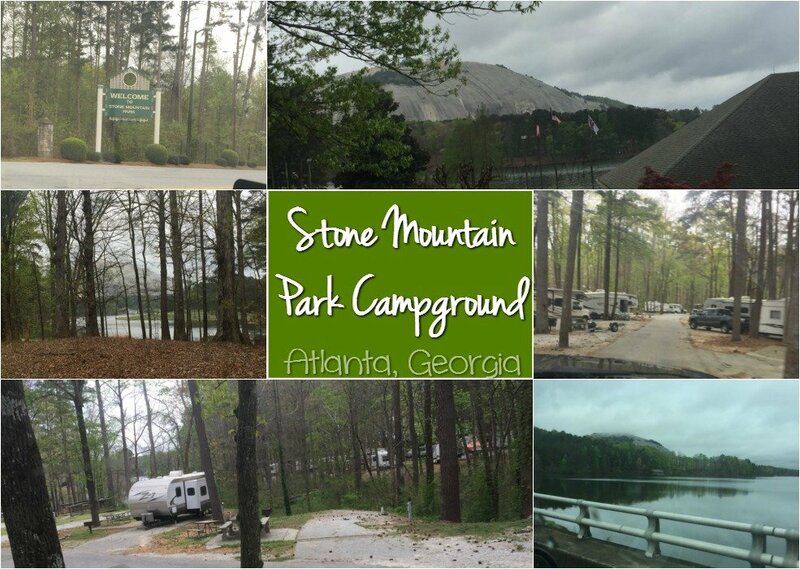 A few days late we got to Atlanta and stayed at the Stone Mountain Campground. 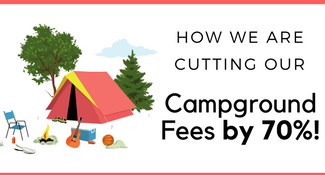 You still have to buy a resort ticket separately if you wish to take part in the activities, but the campground was beautiful. By the lake and plenty of green grass for the dog, it was very peaceful in between the weekenders coming in. The next day our first big day in Atlanta we went to the Georgia Aquarium with our CityPASS books. This was a fantastic trip! 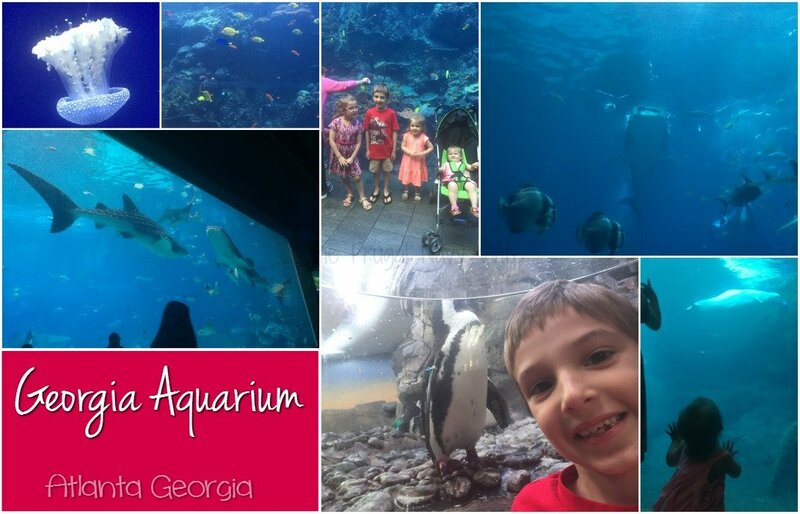 The aquariums were huge, and my kids got to get right up to the glass and view they fish. The whale shark room was our favorite. We went back at the end of the day before we left to see them again. We made it in time to watch them feed the sharks! We also got to see the penguins and my kids loved the crawl tunnel that allowed them to pop up right in the penguin habitat! We saw beluga whales and at this point my 1-year-old got out of the stroller, and she was IN LOVE with being able to go right up to the glass and see the fish she sat down and was just mesmerized! We finished the day by seeing an Albino Aligator and the sea lions. I can see why this is one of the top rated Aquariums in the country! That night my older 3 kids slept at their Aunt’s house and spent time with their cousins. Then next day their Aunt and 2 older cousins took on all 4 kids themselves and gave us a day out for our anniversary. It was the first time we had been without at least 1 kid in over 2 years! We started our day with a trip to the Collage Football Hall of Fame to do something for hubby. I loved how interactive the place was; you got a badge that you registered with your name and football team when you entered, and then the helmet for your team would light up on the wall while you were there! Then anytime you approached one of the interactive exhibits it greeted you and customized it to your team! My husband was in his element, but I’m glad we didn’t bring the kids. My oldest is 7, and while they have a mini-training camp that they could have practiced their moves on, they would have been bored. 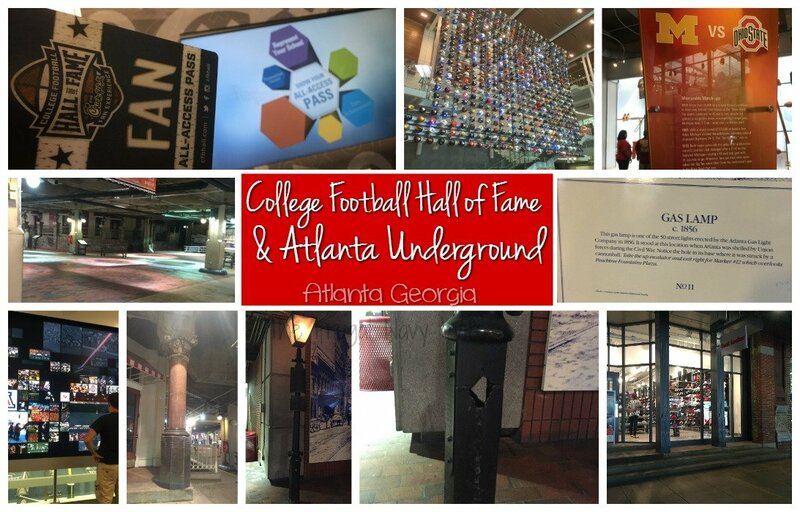 After the Collage Football Hall of Fame, we headed to the Atlanta Underground. This was a HUGE disappointment. The history buff in me was excited to the original streets of Atlanta before the Union Troops burned it to the ground during the Civil War. With this being such a big part of history I thought it would be we preserved. Boy was I wrong. It’s been turned into a trashy strip mall that my nieces told us later we shouldn’t have gone because of high crime and murder level. Great. After that, Mark surprised me with dinner at the Sun Dail in the Weston. This restaurant is on the 72nd floor, and the dining room rotates, so you get a whole 360-degree view of the city. That was incredible and expensive but totally one of the best anniversaries we have had! Plus this checked off of one my bucket list items. The Caesar salad was served differently than any way I have ever seen. I had the fish for my meal, and the dessert was the best. Mark had the pecan pie and ice cream, and I had the Creme Brule. Oh, and our waitress was amazing! She was telling us stories that had us busting up laughing! We would go back just for her! If you want the views without the hefty dinner price tag, you can visit the observation deck for just $8. The next day we went to the Coca-Cola experience again with our CityPASS. We found out that out of 4 kids the only one who like the 4D movies is my 3-year-old….. I’ll spare you the details…. We also got to taste Coca-Cola products from around the word. There were some good flavors you can’t get in the US and some that can stay in the countries they are in. 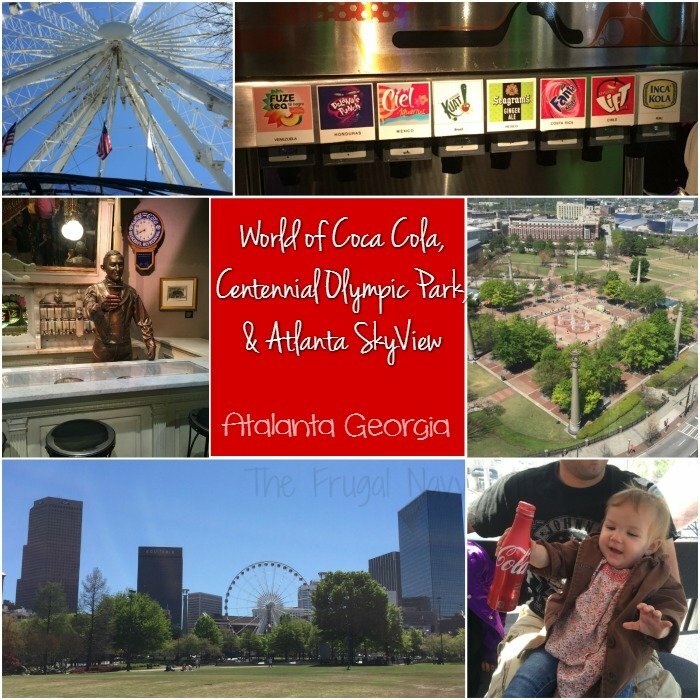 *shutters* Once we drank our lunch in Coca-Cola products we headed out across the street and walked Centennial Olympic Park. We also took a ride on the SkyView since I was able to get free tickets with Groupon and just had to pay $3 tax for all 6 of us to ride. 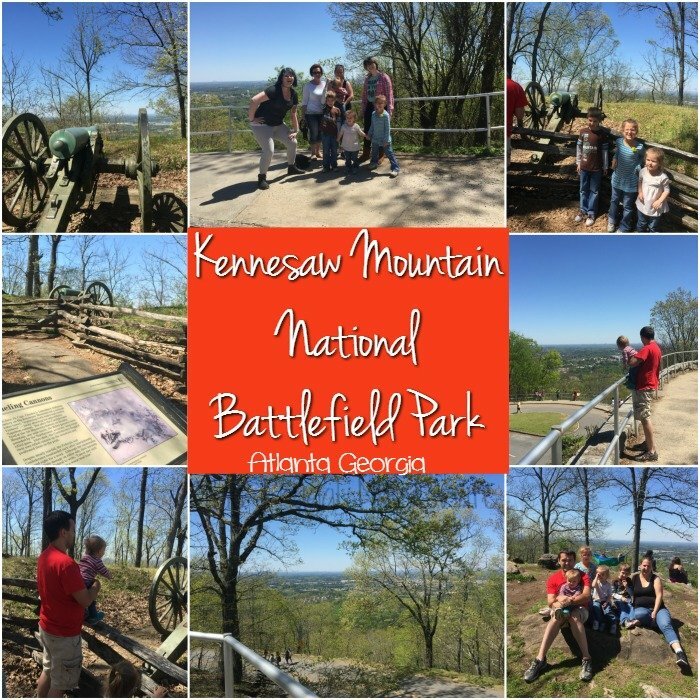 After taking a lazy day/ school day for the kids, we met up with Mark’s sister and our nieces and we visited Kennesaw Mountain National Battlefield Park. We got another passport stamp in our National Parks Passport, and we climbed (ok drove most of the way) to the top of the mountain. The views of Atlanta were breathtaking! There were plenty of signs and cannons on the way up and again the views were amazing. The visitor center had a free museum with some amazing artifacts from the battle and lots of great information. The kids also did their Junior Ranger Program and the kids didn’t just get a badge they got a bag of stuff. 2 badges one for the park and one for the 100 year anniversary, a pencil, a paper hat, wooden nickles, stickers, tattoos, a magnet, and more. 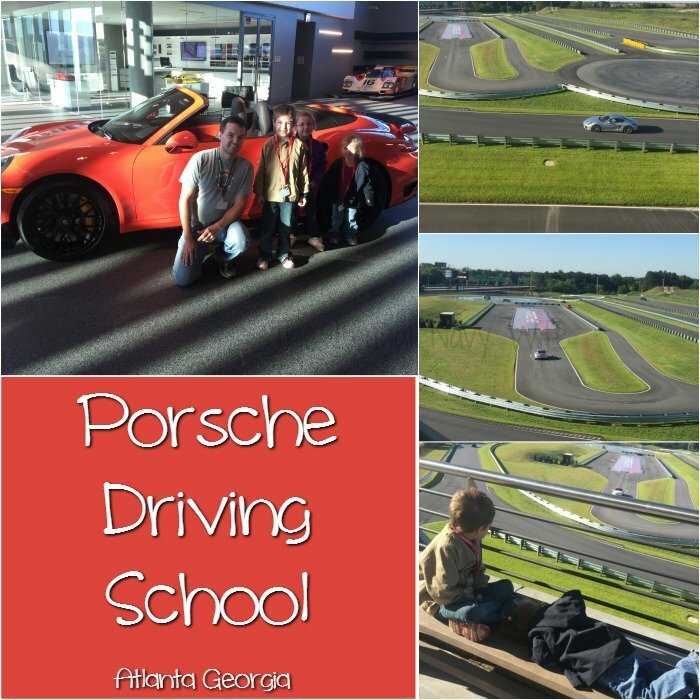 Pro Tip: If you plan to allow you spouse/significant other/friend/relative to do the driving experience, YOU plan to drive home because I thought I was going to die since he was still trying to drive like he was on the track! 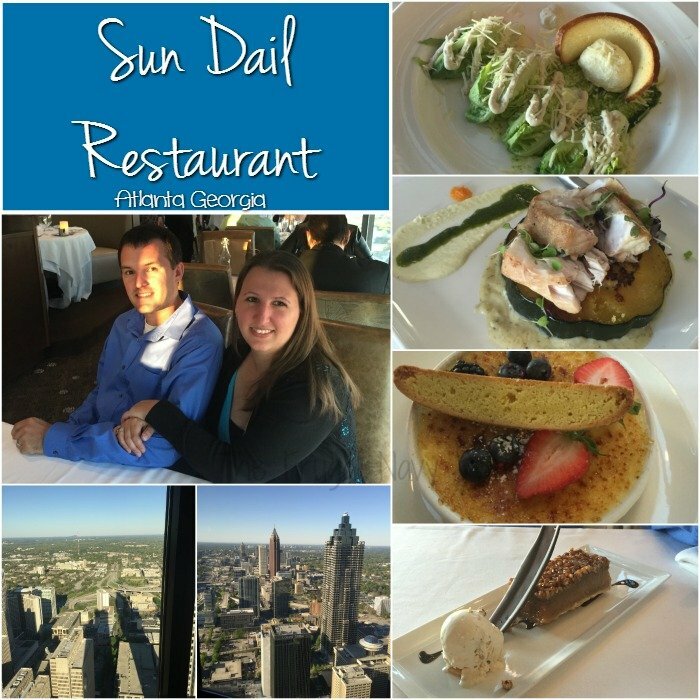 April 6th was our last day scheduled day in Atlanta, so we squeezed in two more CityPASS attractions. First, we had our scheduled tour for the CNN building. This was so interesting! My oldest loved playing the part! The start of the tour was going up an 8 story escalator that we learned is the largest free standing escalator in the world. We got to see one the productions going on and peak in side some news rooms too! 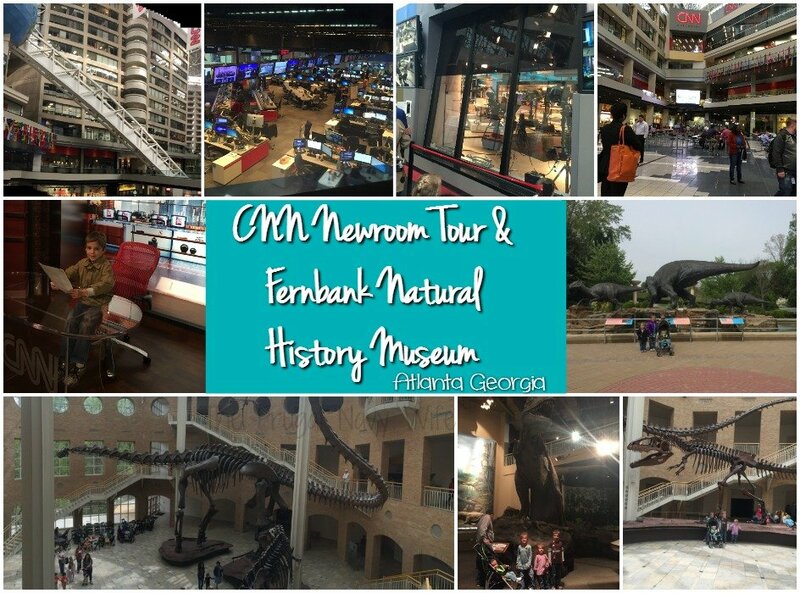 Next, we headed to the Fernbank Museum of Natural History. My son was so excited because this place had dinosaurs! They had dinosaur statues out front with the fountain he loved. Our CityPASS ticket included an IMAX movie, and we chose the one on the National Parks which only fueled my wanderlust to get out west next year! Then we checkout the museum, they had a play area for the kids that looked like a tree house and an area full of hands-on exhibits too but of course, they center piece was the huge dinosaur bones! We asked for a great local place to grab dinner the night we got in and were directed to Huck Finn’s. 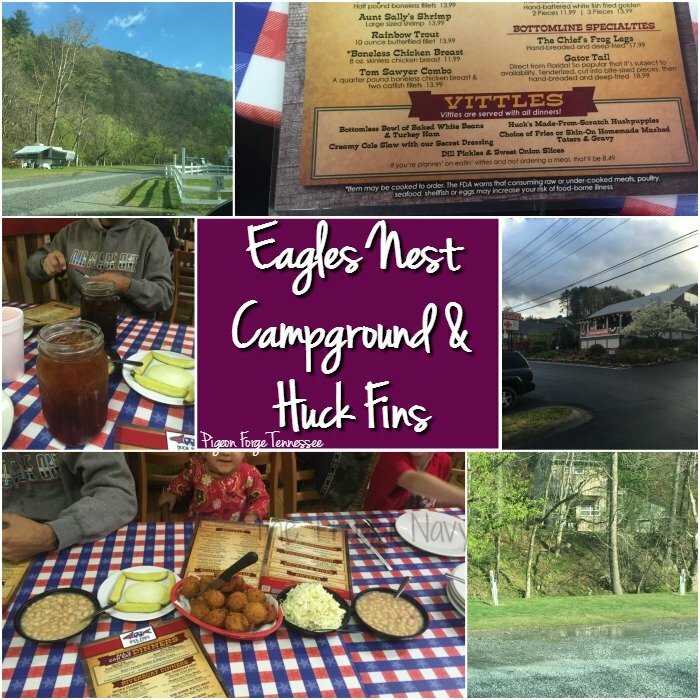 This place was voted to have some of the best catfish but the ‘vittles’ they give you before you even start eating are amazing! Hushpuppies, beans, coleslaw, pickles and onions. The drinks are served in large mason jars, and the portions are huge! If you want a great local place make sure to stop here! Our first full day in town it was freezing so drove around the area to check out the local hot spots and towns and ended up driving Cades Cove that afternoon. 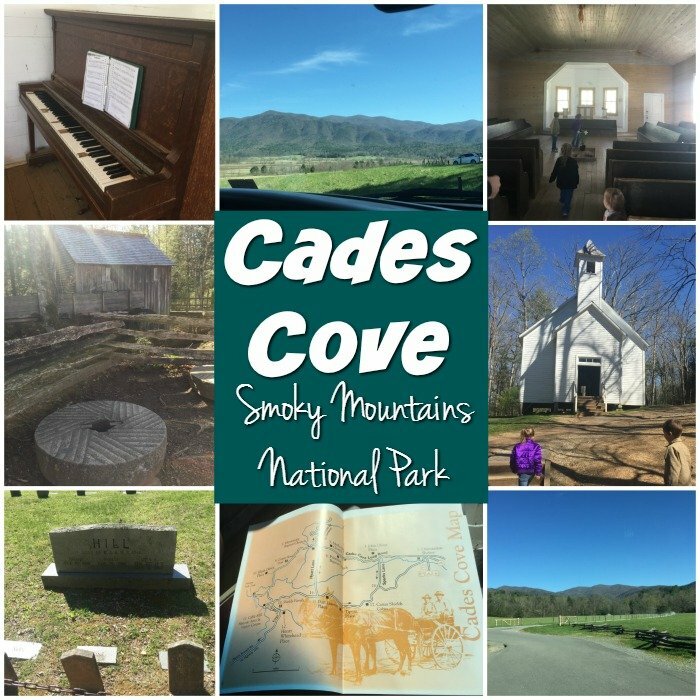 I wrote more about Cades Cove here, but the basics are this is a self-guided driving tour around an 11-mile one-way loop in the Smoky Mountains National Park. It is also an open air museum featuring houses, churches, mills and other buildings that were in the area before the land became a National Park. The following day we started off by using a Groupon for the Titanic Museum. It was an amazing museum from the story of the ship being built and launched to the artifacts they display from the ship and explaining how the ship sunk and more. The kids got a hands-on lesson on the life boats, the sinking, the iceberg, and so much more. My son came out of it wanting to know more so we got him the book (on Kindle) The Titanic: Lost and Found (Step into Reading) and he loved it. After the Titanic Museum, we took some time to do something for hubby. We visited the Muscle Car Museum and let him drool over the 80+ cars as he told me tons of info I’ll never remember. Then we did something on my bucket list! The Alpine Mountain Coaster! This baby is a mile of track winding down the side of a mountain talk about a ton of fun! 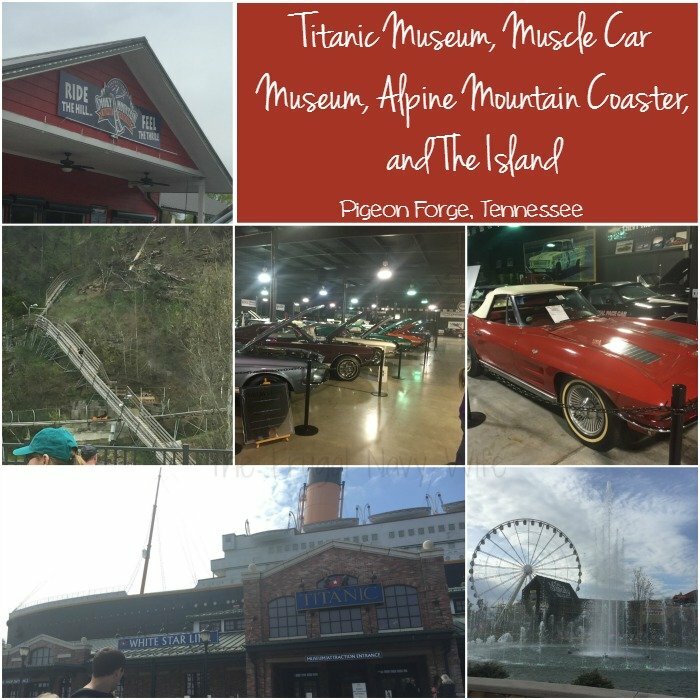 Then we went and checked out The Island in Pigeon Forge. We had dinner at Paula Deen’s, watched the water show and walked the shops. The next day we walked the shops in downtown Gatlinburg taking in the people the sights and more. 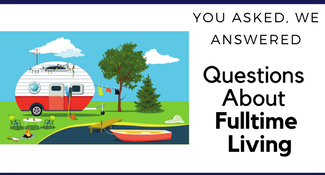 We started with breakfast at the Log Cabin Pancake House were I remember eating breakfast as a kid when I would visit with my parents. 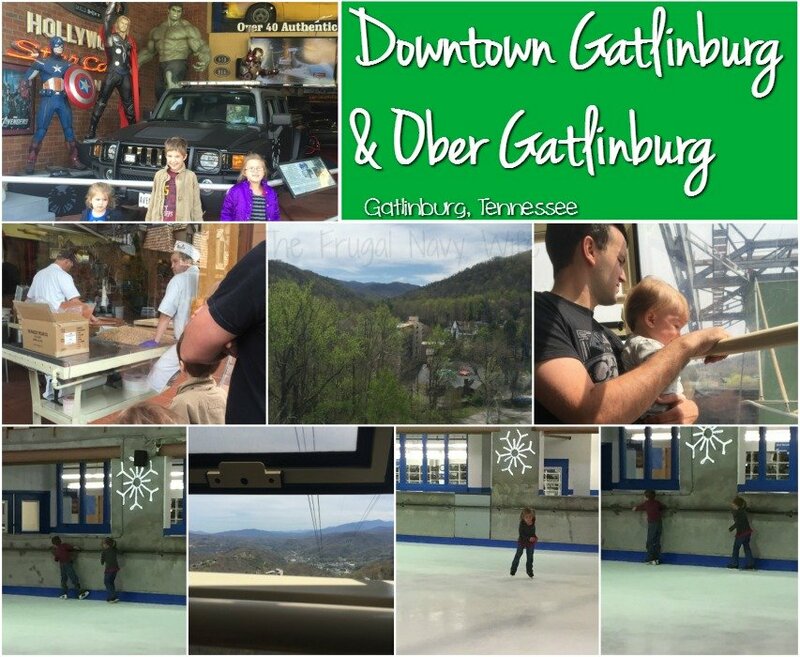 Then we walked the shops for a bit and then grabbed the Air Tram up to Ober Gatlinburg. We had lunch and then the older 3 kids wanted to ice skate. I remember ice skating here as a kid and it was just so much fun to get back on the ice. My oldest daughter was a natural once around with mom and she was braving it out to the middle of the ice. My 3 year old was like a baby giraffe learning to walk her legs went everywhere and my arms got a workout but she loved it. My husband wouldn’t even get on the ice! We headed home and found out later that night that about an hour after we left a man jumped from the top of the space needle there in downtown 🙁 So sad. 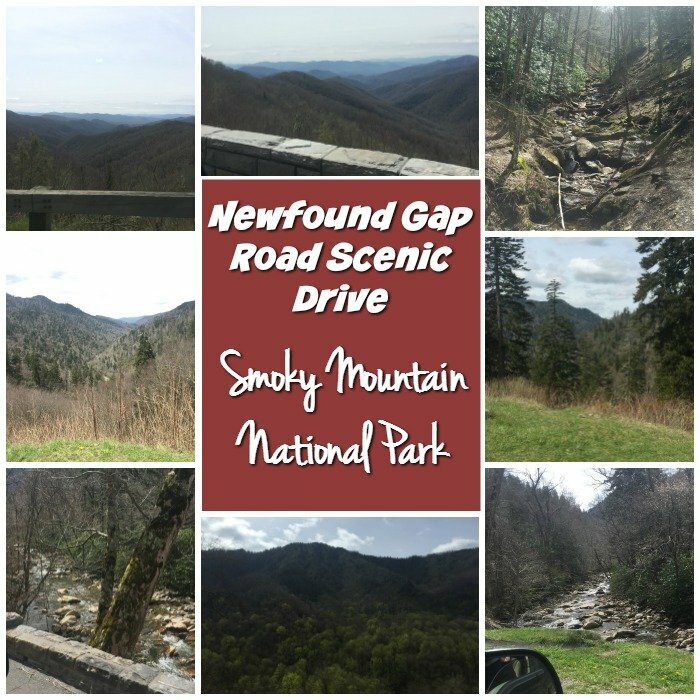 After taking a down day to do school work, get hair cuts and do laundry we took a day and drove the scenic 441 Newfound Gap Road from Gatlinburg to Cherokee, North Carolina. We made the 30-mile drive slowly and took in all the beautiful scenery. I can’t tell you how many times we pulled over to read signs or just take in the view. 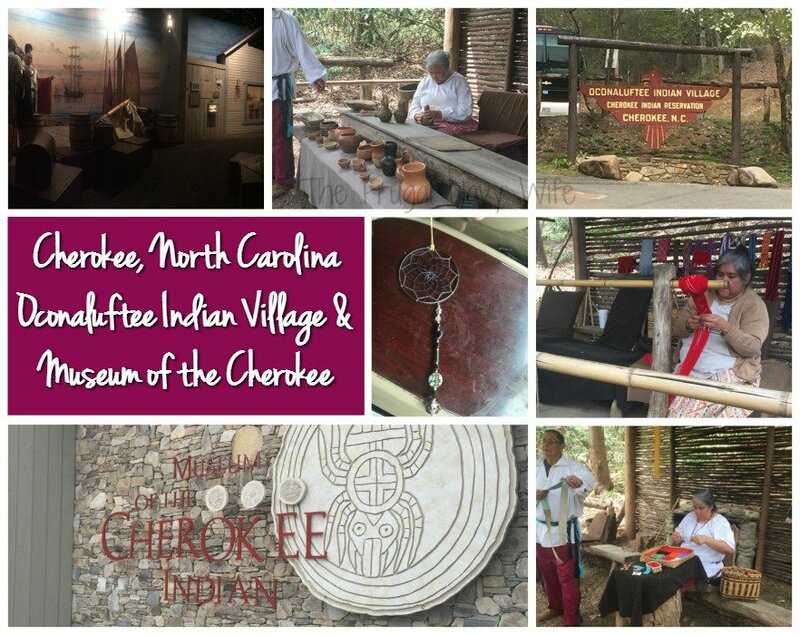 Once in Cherokee, we visited the Oconaluftee Indian Village. Here we got a guided tour of how the Cherokee way of life used to be before the Trail of Tears. We saw how they made pottery, clothes, weapons and their homes. After the Indian Village, we drove down the road to the Museum of the Cherokee Indian. 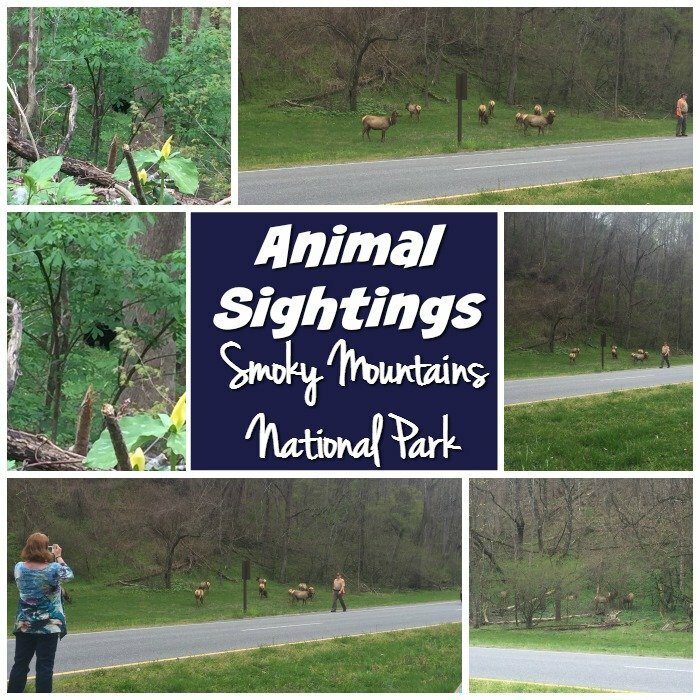 This was a great lesson on the Cherokee’s history, and it’s very interactive for the kids. After the museum, we walked some shops and picked up a few small items hand made from the Cherokee, who still live on the reservation. 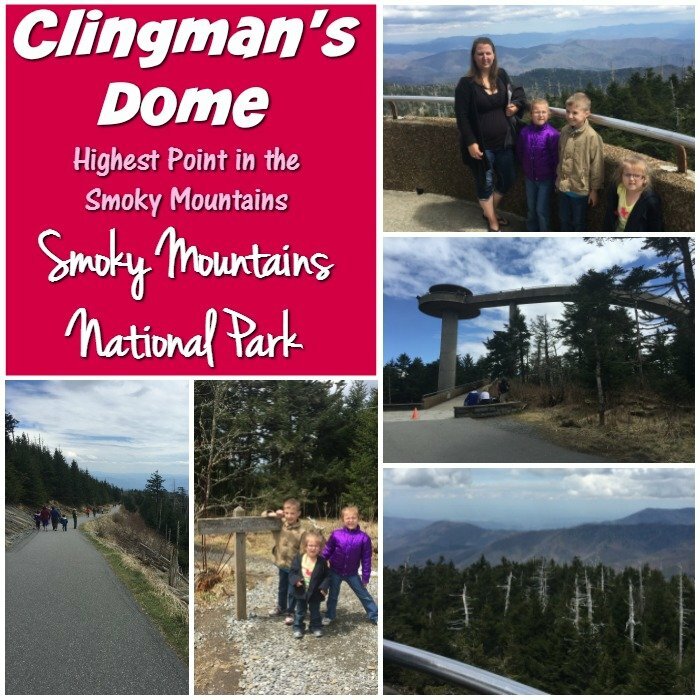 On the way home we saw some elk grazing also took in Clingman’s Dome. While it’s only half a mile, it’s straight uphill, and it’s the equivalent of climbing 13 flights of stairs. It’s a tough walk, but there are several benches to stop and rest on, and the views are worth it! You can also get a book for a $1 donation that explains what you are seeing as you climb. We also saw a baby bear on the way home. We were plenty high up, and I was safe, but the pictures weren’t great. After a quite long travel day to Myrtle Beach, we took a day off and took Cash to the Dog Park. He had a blast, and we met some fellow Supernatural fans who named their black lab Crowley! We also took a lazy drive around town and then ate dinner at Preston’s Seafood and Country Buffet. We ate way too much, but the food was pretty good! 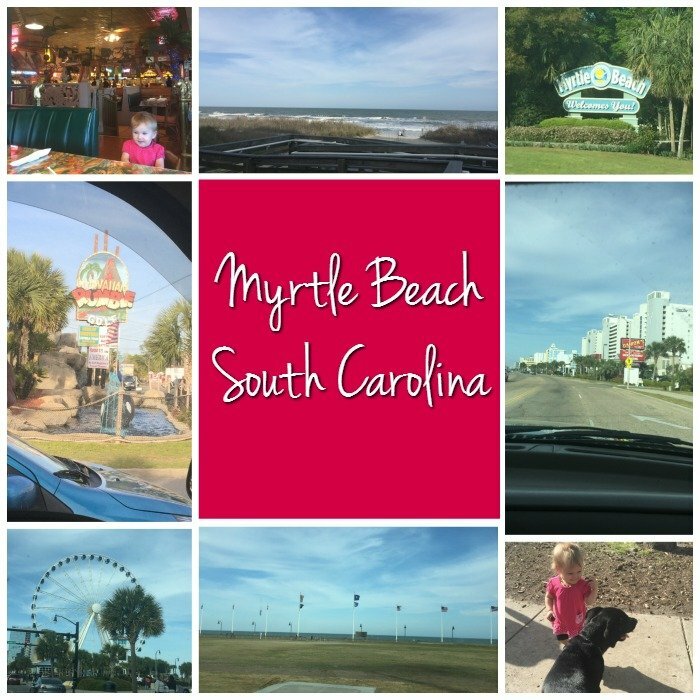 I do have to say in general I was disappointed with Myrtle Beach. It’s not what I remember it being when I came on family vacations as a kid. Where there used to be water park after waterpark, there is now mostly mini golf. 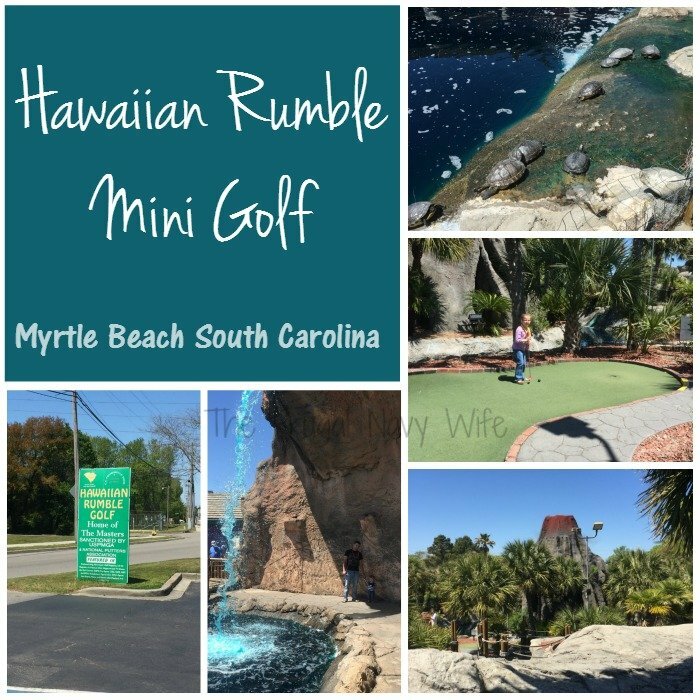 So much Mini Golf we had to take the kids We let them pick and settled on Hawaiian Rumble since it was named one of the best in the country. It must be named for the actual course and not them theme because we found that pretty lacking. While the water was beautiful and the kids loved the turtles they were able to get close too, that was about it as far as theme. Then we took a day to do some school work and laundry and grocery shopping. You know those pesky tasks you do weekly. 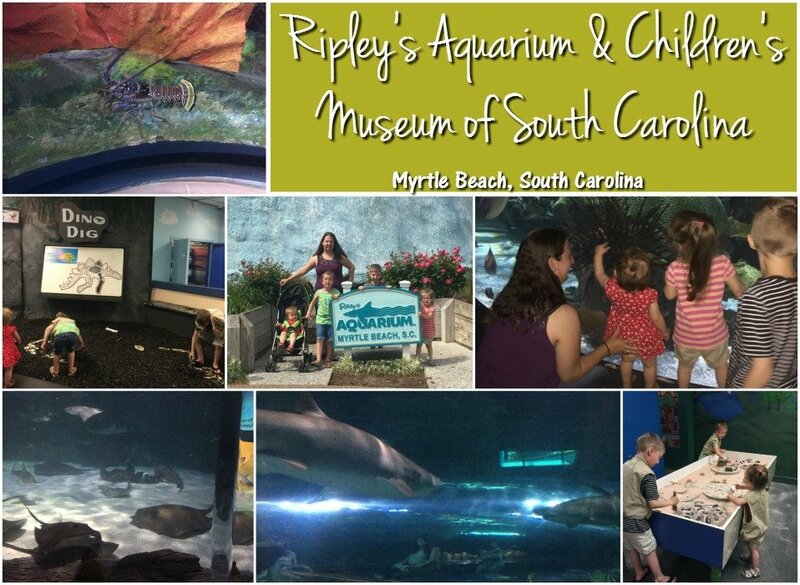 We then went to Ripley’s Aquarium. With all the hype around town I was VERY disappointed in the experience. Many of the exhibits were my height, not kids friendly and the most interesting thing was the fish wall and shark tunnel. It took less than 1 hour for us to see everything and the gift shop was more impressive than the aquarium itself. Needless to say, skip it and save your money. We then visited the Children’s Museum of South Carolina which the kids loved because everything was hands on. Their favorite was the dinosaur dig. 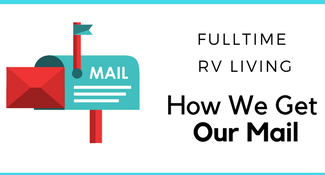 We got in free with one of our reciprocal memberships. 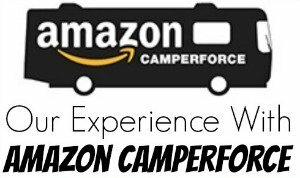 Since we were disappointed in the area, we took more time to do school work and had some down time and then headed to our next campground in Tabor City North Carolina. 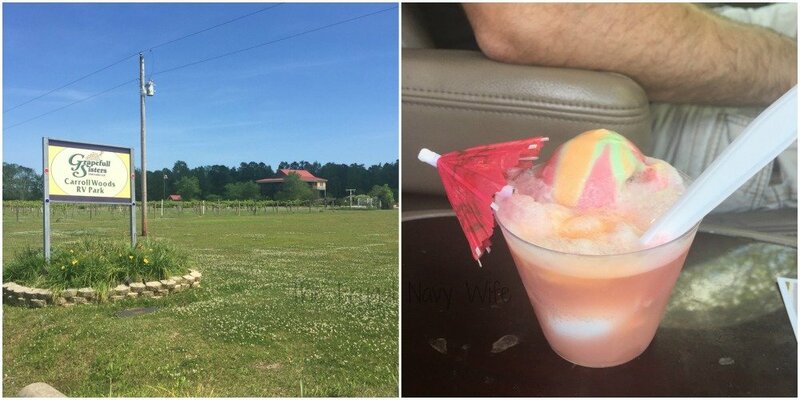 The campground was at the Grapefull Sisters winery and was one of our favorites to date. Be prepared you are out in the middle of nowhere. About 12 miles to the nearest gas station and grocery store. We stayed here because it was an hour Myrtle Beach and an Hour to Wilmington and an hour to a battlefield we wanted to see. We don’t mind the drive since it allows the kids to nap on the way home. Make sure you stop in and do a wine tasting. Also, ask for one of their wine slushies. They are AMAZING!! 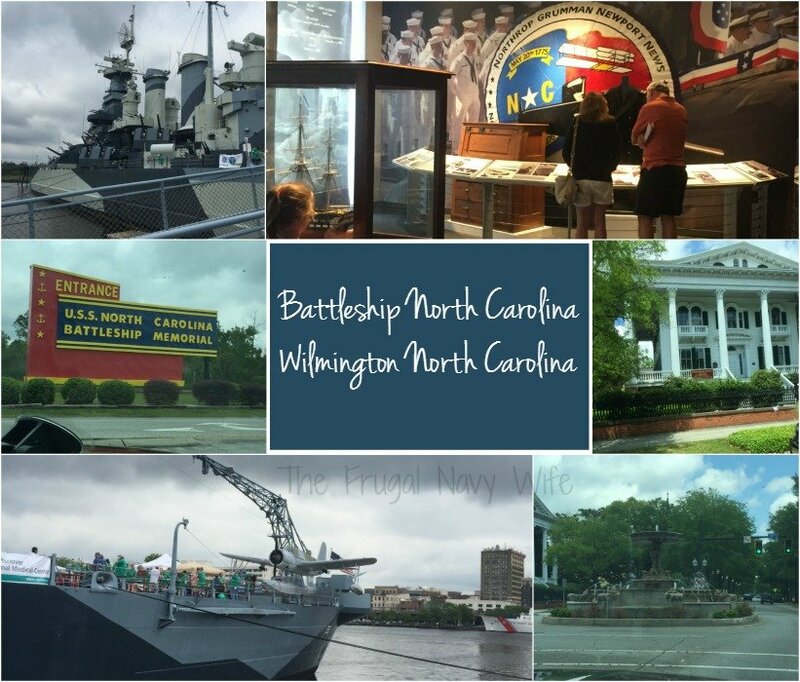 Our first day in we headed to Wilmington to check out the Battleship North Carolina. That was amazing to see for the kids and compare it to my husband’s ship he was stationed on when int he Navy. (he was on an aircraft carrier). Though hubby said, this ship had quite a few things he wished the air craft carrier had like an ice cream shop! We drove around town a bit as well and took in some sights. 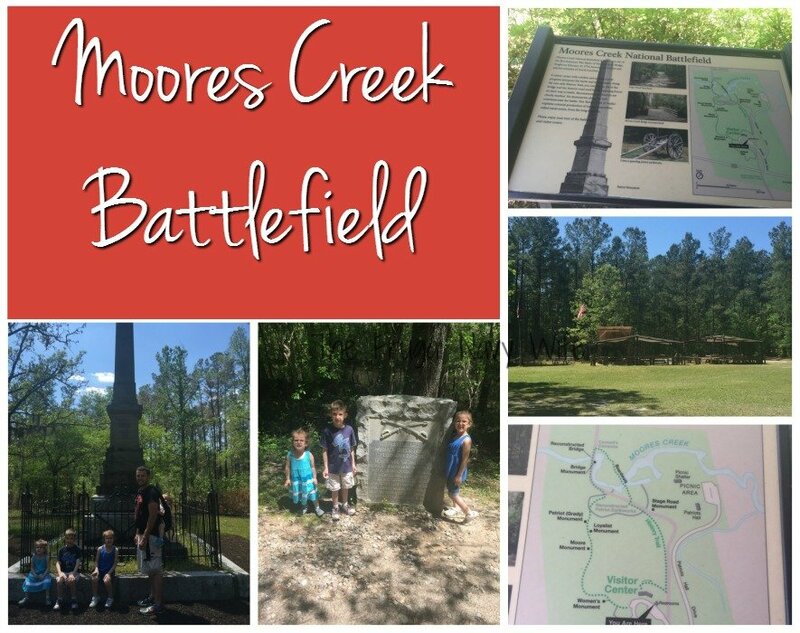 The next day we visited the Moores Creek Battlefield, and the kids got their junior ranger badges. This is a Revolutionary War battlefield, and we got a great history lesson on the Patriots and Loyalists and how important this battle was. This was a Patriot win that stopped the loyalists from reaching Wilmington and securing North Carolina for the Patriots. That morning when 1600 loyalists were ambushed by 1100 Patriot only 1 patriot died and only 1 was injured! The rest fo the week was a bit busy I had to fly back to Florida to take care of some business and while I was only gone 48 hours it really messed with us. Hubby was able to to do school work with the kids and have some daddy time. I was supposed to get in Thursday night and then we were supposed to travel to Virgina on Friday but thanks to plane delays we didn’t get in from the airport until after 3am. So we extended a day and Arrived in Williamsburg Virginia a day late. We are now in Williamsburg, and the trip here was interesting. But you will have to wait for next month update to find out more!